The Police Service will be hosting a Charity Barbeque Cook Off at 6pm on Saturday [Sept 2nd] which will involve the police, Department of Corrections, Bermuda Fire & Rescue, Bermuda Hospitals Board, Royal Bermuda Regiment and U.S. Customs & Border Protection going ‘head to head’ on the grill, and being judged by a professional chef. 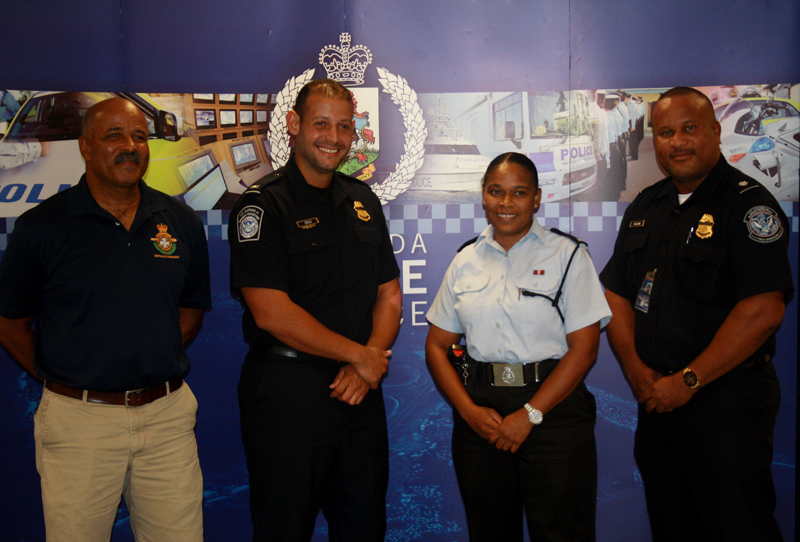 Constable Kimberley Spring said, “The Bermuda Police Service [BPS] is gearing up for Police Week 2017, which will take place from September 30th until October 7th. “Every year during Police Week, the focus is on positive police and community interactions as well as recognising the work of our community partners. “This year the BPS has selected two local charities, Special Olympics Bermuda and The Family Centre, who will benefit from the fundraising efforts of the BPS between 2016/2017. “In previous years, the BPS has held charitable events such as golf tournaments, casino nights and denim days, with all proceeds raised from these events being equally shared between the two charities. “For 2017, the BPS has decided to host a Charity Barbeque Cook Off 6pm Saturday, September 2nd between the uniformed agencies. The event titled “King of the Grill” will include the Department of Corrections, Bermuda Fire & Rescue, Bermuda Hospitals Board, Royal Bermuda Regiment and U.S. Customs & Border Protection. “The 6 agencies will go head to head on the grill at Police Recreation Club, Prospect Devonshire in front of a live audience, having their dishes critiqued and rated by a panel of judges headed by Chef Peter Jovetic of Food for Thought Catering. “There will also be an opportunity for guests to participate in an all you can eat Super-Hot Wing eating competition sponsored by Rosa’s Restaurant. “Anyone who is interested in attending this event can purchase tickets for a cost of $30 which includes a buffet meal, complimentary beverage, an opportunity to win a BBQ grill and admission into the after party.